FutureMap is an experienced team of strategic advisors, scenario planners, data scientists, and research analysts working with clients to navigate globalization trends. We have the interdisciplinary expertise necessary to provide comprehensive strategies for a hyper-connected world of opportunity and risk. 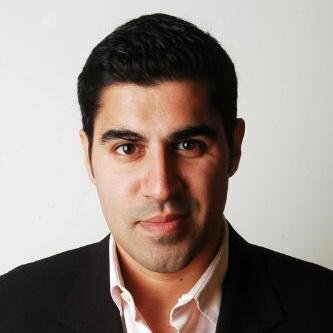 Dr. Parag Khanna is Founder & Managing Partner of FutureMap. He has advised many governments and corporations around the world and serves on the boards of numerous financial institutions and technology companies. He has been a fellow at the Lee Kuan Yew School, New America Foundation, and Brookings Institution, and worked at the World Economic Forum and Council on Foreign Relations. Parag's newest book is The Future is Asian: Commerce, Conflict & Culture in the 21st Century (2019). He is author of a trilogy of books on the future of world order beginning with The Second World: Empires and Influence in the New Global Order (2008), followed by How to Run the World: Charting a Course to the Next Renaissance (2011), and concluding with Connectography: Mapping the Future of Global Civilization (2016). He is also author of Technocracy in America: Rise of the Info-State (2017) and co-author of Hybrid Reality: Thriving in the Emerging Human-Technology Civilization (2012). He holds a PhD from the London School of Economics, and Bachelors and Masters degrees from the School of Foreign Service at Georgetown University. In 2010, he was recognized as a Young Global Leader by the World Economic Forum. Greg has reported, written, spoke, and consulted on the future of cities and globalization for more than a decade, with special emphasis on urban mobility and the future of work. He is a senior fellow at NewCities, a non-resident senior fellow at the Atlantic Council’s Foresight, Strategy, and Risks Initiative, and a visiting scholar at New York University’s Rudin Center for Transportation Policy and Management. He is also co-author of the critically acclaimed Aerotropolis: The Way We’ll Live Next (2011) and a frequent contributor to media outlets including The New York Times, The Atlantic, and Harvard Business Review. 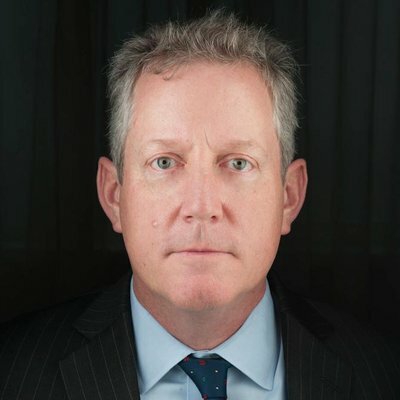 Scott Malcomson has worked as a journalist in Africa, the Americas, Asia and the Middle East, and managed international investigative projects for some of the world’s largest institutional investors. He is the author of five books including Splinternet: How Geopolitics and Commerce Are Fragmenting the World Wide Web (2016). He was a senior official at both the United Nations (2003) and the U.S. State Department (2011-12), editorial advisor to Eric Schmidt and Jared Cohen for their book The New Digital Age, foreign editor for the New York Times Magazine from 2004 until 2011. Dr. Michael Ferrari is founder of Atlas Research Innovations, which provides clients with bespoke research in scientific, technical and economic domains such as data science and analytics, spatial informatics, AI/machine learning, financial and physical risk, geoeconomics, sensor networks, environmental system science and engineering, smart city and earth observation technologies, and information theory. He has spent two decades as a scientist and engineer in areas ranging from energy and agriculture to financial services and supply chains. Michael holds a PhD from Rutgers University, where his doctoral research was supported by the NASA Goddard Institute. He is a contributing author to Bloomberg, O'Reilly Radar and GigaOm. Faisal is an internationally respected expert in data science and machine learning and was awarded an internationally competitive award for innovation in machine learning research by The World Bank Group in 2017. He has over 8 years experience on creating data analytics solutions for government and corporations. He is Assistant Professor and the Director of Data Science Lab at Information Technology University (ITU) in Lahore. He is also Co-Founder and President of ADDO AI, called one of Asia's leading artificial intelligence firms by Forbes magazine in 2017. Faisal received his PhD in data analytics and machine learning from The Eindhoven University of Technology in the Netherlands. Afshin Molavi is a senior fellow at the Foreign Policy Institute of the Johns Hopkins University School of Advanced International Studies, where he researches broadly on globalization, the New Silk Road, emerging markets, global hub cities, and the multiple intersections between the Middle East region and Asia and Africa. He has served as a senior advisor at Oxford Analytica as well as at the International Finance Corporation of the World Bank group. Molavi’s articles and essays have appeared widely in the popular media including the Financial Times, Reuters, the New York Times, the Washington Post, Foreign Policy, and Bloomberg, as well as in academic publications. He has appeared as a frequent guest on global television channels from CNN and BBC to China Global Television Network (CGTN) and Sky News Arabia. Elie is an expert in strategic and multidisciplinary research. His work focuses on identifying trends and challenges associated with globalization and sustainability. His work has been published by the World Economic Forum, The Economist Intelligence Unit, KPMG, the OECD, and UNDP. Elie holds a PhD in Theoretical Physics from the University Pierre et Marie Curie in France and a Master of Public Administration from the School of International and Public Affairs (SIPA) from Columbia University. He is trained in negotiations and climate diplomacy. Jeff has been creating maps and performing geographic information system (GIS) analysis for 25 years. He is the GIS Service Manager of the Center for Geographic Analysis at Harvard University. His areas of expertise include GIS analytics, cartography, and data science. Jeff is also an adjunct faculty member of the Harvard Extension School and Salem State University (MA) where he teaches GIS and Cartography. Jeff is Founder of Blossom Geographic and he has worked across the GIS industry as an analyst, developer, cartographer, manager, and educator. Jeff earned his M.A. in Geography from University of Denver. Lutfey Siddiqi is a Visiting Professor-in-Practice at the London School of Economics and an Adjunct Professor at the Risk Management Institute, National University of Singapore. He was previously a member of the executive committee for FX, Rates & Credit at UBS Investment bank with global responsibility for emerging markets. At UBS, he was also an inaugural member of the group sustainability council and the investment bank innovation board. Lutfey serves on the World Economic Forum council on long-term investing and infrastructure and has helped lead projects on global risks, inclusive finance and capital markets. He is a member of the advisory boards of LSE Systemic Risk Centre, NUS Centre for Governance and the Official Monetary Institutions Forum (OMFIF). In 2012, the World Economic Forum named Lutfey a Young Global Leader. He appears regularly in media such as CNBC, BBC, Fox Business, Financial Times, The Telegraph, and Channel News Asia. Basak has been a Postdoctoral Fellow at the Buffett Institute for Global Studies at Northwestern University. She holds a Ph.D. in Political Science from the University of Pennsylvania. Basak’s research centers on collective action and political behavior, where she combines computational and qualitative methods. Her work has been published in Research in Social Movements, Conflicts and Change, Contemporary European Studies, and Journal of Contemporary European Studies. Her co-authored chapter, "When Does Repression Trigger Mass Protest? The 2013 Gezi Protests," was acknowledged by Cornell University with the 2015 Sidney Tarrow Best Article Prize. Prior to attending UPenn, Basak completed a B.A. in Political Science & International Relations at Galatasaray University, a M.A. in European Political and Administrative Studies at the College of Europe, and another M.A. in Political Science at Sabancı University. Kailash is a Senior Research Fellow at Tufts University. His expertise is in international political economy, global maritime affairs, and issues of trust in the digital news media. Some of his writing and data visualisation work has appeared in The Washington Post, The National Interest, The Diplomat, and the Georgetown Journal of International Affairs, among other publications. He has previously worked for The Guardian, and a number of think tanks in Singapore and India. He holds a Master of Arts in Law in Diplomacy from The Fletcher School, a Master of Arts in International Security from the University of Nottingham, and a BA from Delhi University. Victor is a Master in Public Policy Candidate at Harvard Kennedy School, where he concentrates in International and Global Affairs and is specifically interested in the intersection of security and development, with a focus on China. Most recently, he was an analyst at the Carnegie Endowment's Beijing Center and prior to that at think-tanks in Europe and the US focused on emerging markets. Victor holds a B.A. in Economics and Business Management from Pompeu Fabra University in Barcelona and has participated in exchange programs at The Wharton School, LSE and Peking University. Born and raised in Singapore, Xiao You Mok has a BA in East Asian Studies from the University of Tokyo, where she was awardee for best thesis. She is currently completing a MA at Harvard University as a Harvard-Yenching fellow, where her research lies in the fields of modern history and sociology with a focus on East Asia. Her professional experiences have spanned pan-Asian business development in the communications, consulting, and financial sectors. Aditya Ramachandran has been a researcher at the Atlantic Council in Washington, and prior to that at Geopolicity in Dubai. His interests span emerging technologies, global governance, and Asian strategic affairs. His work has been published in Asian Age, China-US Focus, Sunday Guardian, and other publications. He is a graduate of Franklin & Marshall College and an incoming M.A.L.D candidate at the Fletcher School of Law and Diplomacy at Tufts University. Sushil Khanna has several decades of experience in financial planning and international marketing. For thirty years he worked as a financial advisor and vice president with American Express Financial Advisors and Ameriprise Financial. Prior to moving to the US, he led regional sales for Indian and German companies covering the Middle East and North Africa. He holds a Bachelor of Science degree from Calcutta University, Diploma in international marketing from the Indian Institute of Foreign Trade, and holds securities licenses in the US.